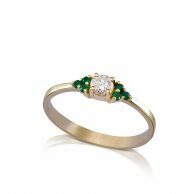 Engagement ring is by definition an extremely important ring since it’s a symbol for the beginning of a new special and exciting period in the relationship. 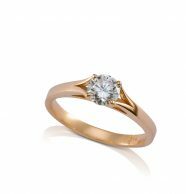 Therefore, I offer my customers engagement rings personally and meticulously designed using advanced technologies and high quality handicraft. Actually, there's no strict definition for engagement rings, so you can choose any ring you like as an engagement ring. 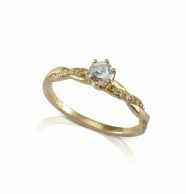 In the past, engagement rings were mostly diamond rings, but the times have changed, the "rules" were broken and today you can find a wide variety of rings that are considered as engagement rings. 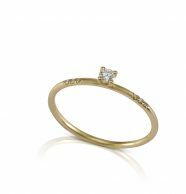 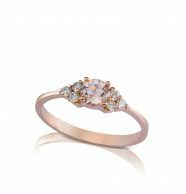 In the website you can find a wide selection of engagement rings, both in classic and in modern style, all of them delicately designed and taking all details into account. 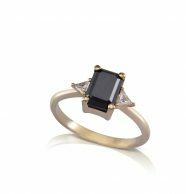 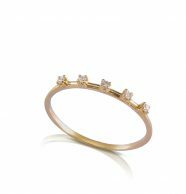 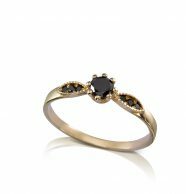 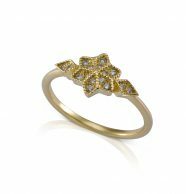 We offer a great choice of rings, from classic rings, such as solitaire diamond rings, to asymmetrical rings embedded with gems and even black diamonds in an original combination. 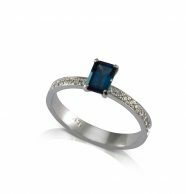 You're invited to browse the collections and see jewelry with white diamonds, black diamonds or colored gemstones like: ruby, sapphire, emerald, morganite, garnet, iolite, topaz and more. 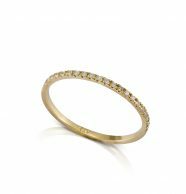 All rings can be designed in yellow, white or red gold. 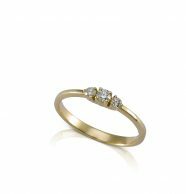 In addition, you can choose the gold purity, 18k or 14k. 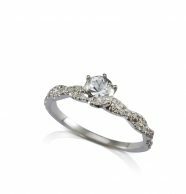 The range of prices of our engagement rings is wide and various, so you can match your choice to your budget. 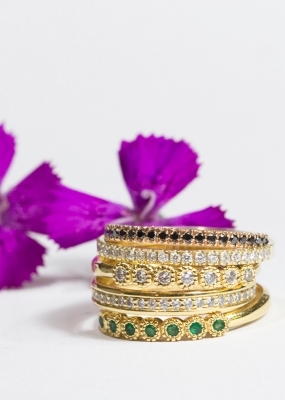 If there's a certain piece of jewelry you like, but it's over your budget, or perhaps you want to upgrade it, there are some adjustments that can be made in order to match your budget. Moreover, it there's a ring you like and want to make some changes in it, for example, to design it according to your taste and maybe change the type or size of the stone(s), we'll be happy to help you design the ring of your dreams.